Macrophages play a fundamental role in human chronic diseases such as rheumatoid arthritis, atherosclerosis, and cancer. In the present study, we demonstrated that dual-specificity phosphatase 6 (DUSP6) was upregulated by lipopolysaccharide (LPS) treatment of macrophages. (E/Z)-BCI hydrochloride (BCI) functions as a small molecule inhibitor of DUSP6, and BCI treatment inhibited DUSP6 expression in LPS-activated macrophages. BCI treatment inhibited LPS-triggered inflammatory cytokine production, including IL-1β and IL-6, but not TNF-α, and also affected macrophage polarization to an M1 phenotype. In addition, BCI treatment decreased reactive oxygen species (ROS) production and significantly elevated the levels of Nrf2. Interestingly, pharmacological inhibition of DUSP6 attenuated LPS-induced inflammatory responses was independent of extracellular signal-regulated kinase (ERK) signaling. Furthermore, BCI treatment inhibited phosphorylation of P65 and nuclear P65 expression in LPS-activated macrophages. 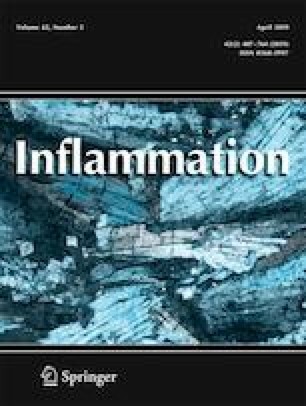 These results demonstrated that pharmacological inhibition of DUSP6 attenuated LPS-induced inflammatory mediators and ROS production in macrophage cells via activating the Nrf2 signaling axis and inhibiting the NF-κB pathway. These anti-inflammatory effects indicated that BCI may be considered as a therapeutic agent for blocking inflammatory disorders. This study was supported by School of Stomatology, Dalian Medical University, Dalian 116044, PR China. Fan Zhang and Bufu Tang performed the experiments. Fan Zhang analyzed the data. Zijiao Zhang and Di Xu contributed reagents, materials, and analysis tools. Fan Zhang and Bufu Tang wrote the paper. Fan Zhang edited the paper.